Ingram Micro will add the capabilities of Amazon Web Services (AWS), Google and IBM to its CloudBlue marketplace, as part of plans to provide cloud choice through the channel. In addition to Microsoft Azure - a foundational partner upon launch - the distribution giant expects to add the remaining hyper-scale cloud providers “soon”, without detailing a specific time frame. The end result will be a CloudBlue platform housing Microsoft Azure, AWS, Google Cloud Platform (GCP) and IBM Cloud. “They are all coming,” said Nimesh Davé, executive vice president of global cloud at Ingram Micro. “Our strategy is multi-cloud, it’s not around one specific vendor. Revealed to Channel Asia during Ingram Micro One in Singapore, Davé ruled out the addition of the next biggest player in the market, in the form of Alibaba Cloud. 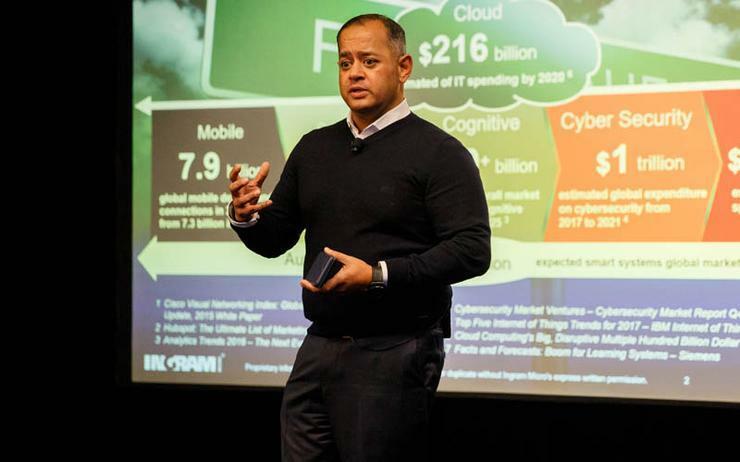 The commitment comes as Ingram Micro continues to peel back the layers of CloudBlue, an independent software division designed to help service providers build, scale and monetise cloud and digital services. As reported by Channel Asia, the practice will sell CloudBlue commerce platform and services directly to service providers, including managed service providers (MSPs), telecommunications providers, large value-added resellers and other distributors. The launch also resulted in a “one-of-a-kind” strategic alliance with Microsoft, allowing both parties to co-sell the CloudBlue commerce platform to new service providers joining the vendor’s Cloud Solution Provider (CSP) program. CloudBlue is the product of almost a decade of investment - surpassing $500 million - by the distributor, backed up by six strategic market acquisitions, including Odin Automation Platform and Ensim Automation Suite.